The Nürburgring has never been known for its subtleties. 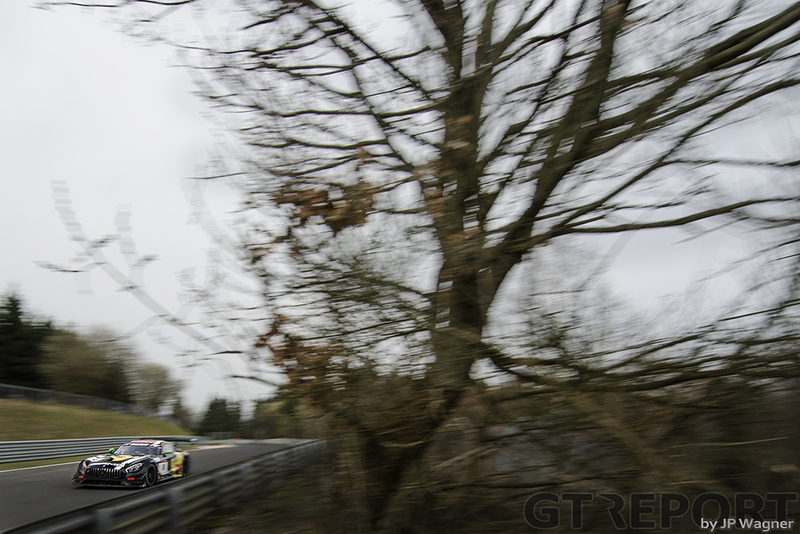 Even so, the VLN series had a rough start to its 2016 championship. As the teams were arriving in the paddock on Thursday, it suddenly began to snow. Social media quickly flooded with pictures of a snowy track and videos of drivers using the slippery roundabouts in the nearby area for drifting entertainment. 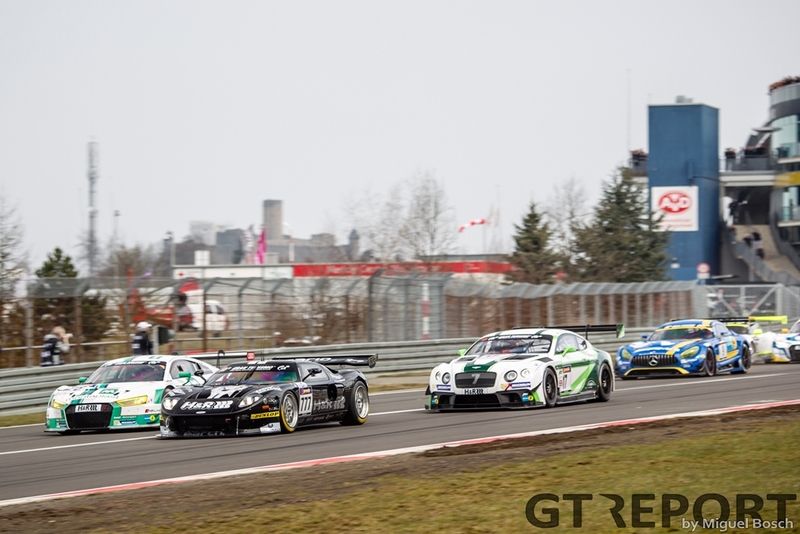 Most of the snow melted overnight, but the Nordschleife remained a tricky place. 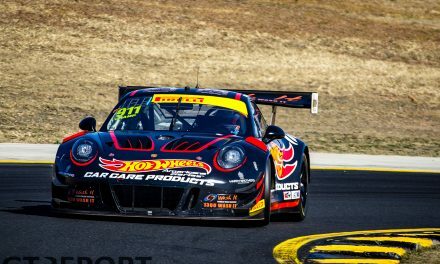 This was best illustrated by the code red in free practice on Friday afternoon, when the number 968 Porsche Cayman GT4 entered by Prosport Performance went off at Adenauer Forst, flipped over the barrier, and landed in the forest. The driver was taken from the wreckage with minor injuries. The Porsche had considerably more damaged and was out for the weekend. 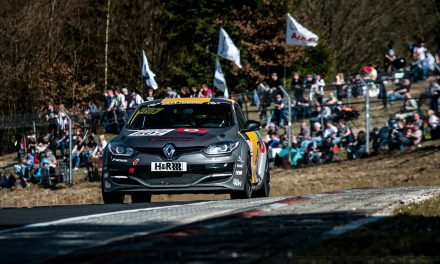 Saturday morning offered up another Nürburgring obstacle: fog. Due to a lack of visibility, qualifying had to be delayed for almost fifty minutes. When the pitlane finally opened, most teams were quick out of the box to try and set a time. Pole position eventually went to the number 28 Land Motorsport Audi R8 LMS GT3, driven by Marc Basseng, Connor De Phillippi, Mike Rockenfeller, and Timo Scheider. 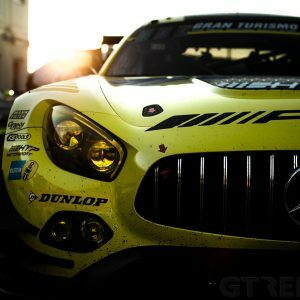 This was a surprising result, seeing as VLN1 marked Land Motorsport’s return to the series after several years of absence. 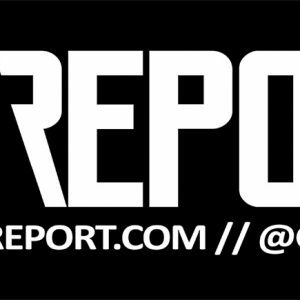 Few expected them to be this quick this soon. The race, however, wasn’t a done deal for Land Motorsport. The start proved to be hectic. 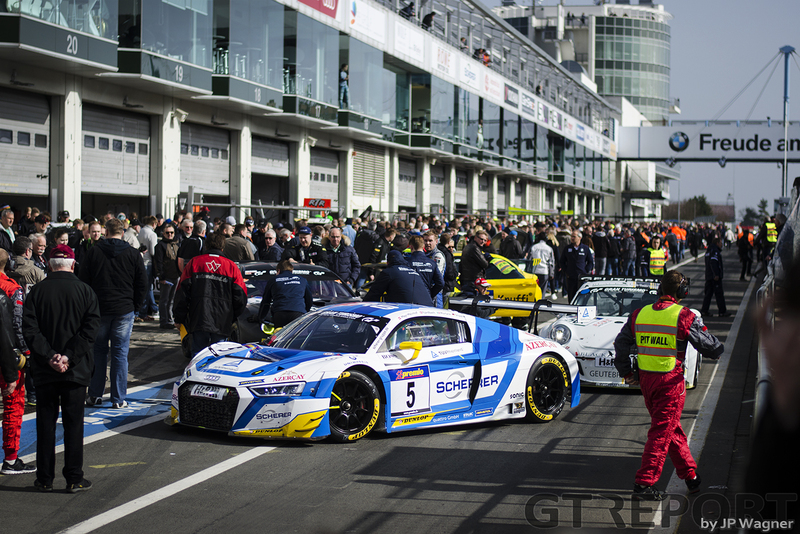 The first starting group included over thirty GT3 cars and made a crowded run up to the first corner. Straight away Basseng had to defend his pole position heavily against the cars behind him, most notably Frank Stippler in the number 5 Phoenix Audi. For four long laps Basseng remained in the lead, but at the end of lap 5 Stippler passed him by. From then onwards, the Land Audi began to lose momentum. Eventually the car finished in fifth place overall. An excellent result for a return race, but one that leaves the crew wishing for more. As the clock ticked on, Phoenix began to assert itself more and more strongly at the head of the field. 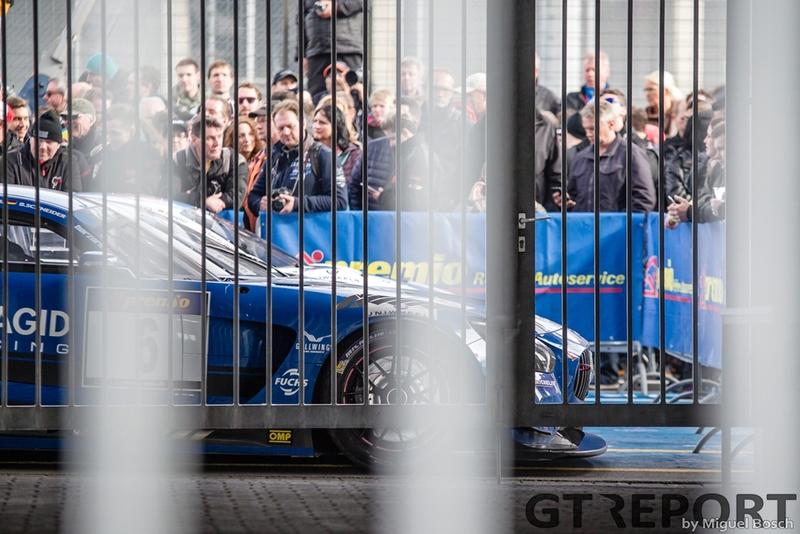 Apart from its traditional number 5 car, the crew from Meuspath had also entered an additional Audi, with starting number 15, piloted by GT aces Laurens Vanthoor and Christopher Haase. 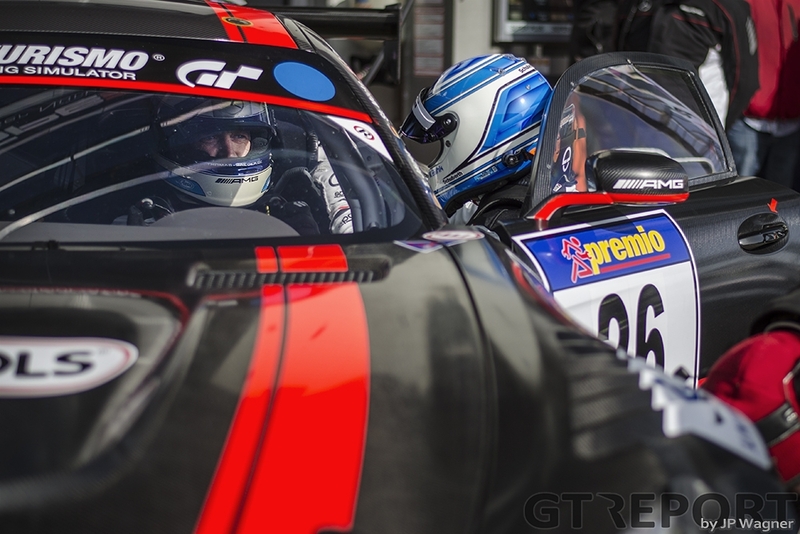 Prior to the race, Vanthoor made it clear that he and Haase were there solely to prepare themselves for the 24-hour race in May. Their goal was simply to put in as many practice laps as possible. But despite these modest goals, the pair steadily climbed up the ranks. 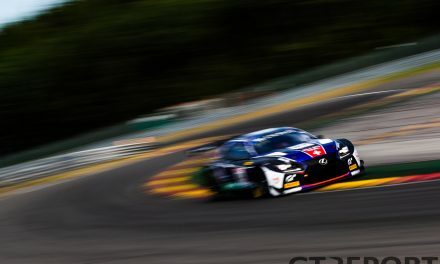 In the final laps, Vanthoor even managed to outpace and overtake the Phoenix sister car, which up until then had spent a considerable part of the race running in first place. When the chequered flag dropped, Vanthoor and Haase were first across the finish, a whopping fifteen seconds ahead of the other Phoenix Audi. Unfortunately for them, the win wasn’t theirs to keep. Earlier in the race they had sustained a 35-second penalty for overtaking under yellow, which meant that officially they had finished twenty seconds behind their teammates, in second place. Victory was thus handed back to the Audi number 5 of Stippler and driving partner Anders Fjordbach. 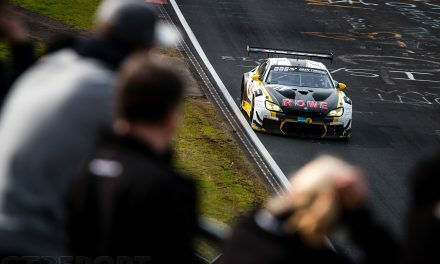 The VLN1 podium was completed by Bernd Schneider, Maro Engel, Manuel Metzger and Adam Christodoulou, the crew of Black Falcon’s blue Mercedes-AMG GT3. 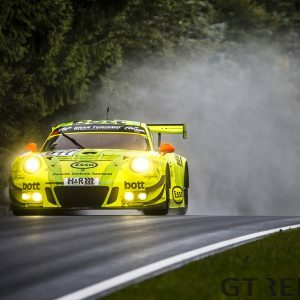 They had claimed third at almost the last possible moment, when Christodoulou used some of his Nordschleife heroics to slip passed the Haribo Mercedes-AMG. Third place overall wasn’t Black Falcon’s only reason to rejoice. Its Porsche 991 Cup BF-entry, piloted by Alexander Toril Boquoi and Tim Scheerbarth, took victory in the SP7-class. This means the Spanish-German duo’s 2016 campaign has started according to plan. The two are aiming high this year; at the VLN test two weeks ago Scheerbarth declared that they will try and take all ten SP7-wins. To do this they must make sure never to make light of the Nordschleife’s trickery. After the snow and the fog, the Ring put down an extra obstacle especially for them. During the race they broke four spokes in one of their wheels, which resulted in strong vibrations particularly in right-hand turns. They were lucky to finish where they did.